BLANCHESTER — A woman faces multiple charges after police say she was drunk, and threatening and abusive to emergency personnel. Shortly after midnight Friday, police were called to 732 S. Broadway St. on a report of unknown trouble. 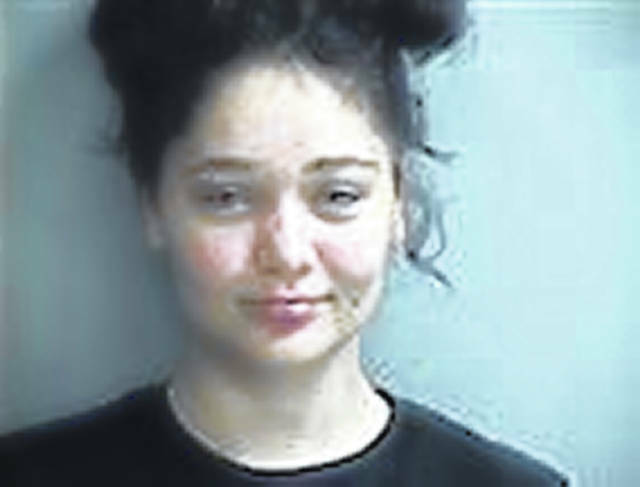 Officers arrived and found Jazlyn Jones, 20, of Martinsville outside the residence with blood on her face and clothing, said Blanchester Police Chief Scott Reinbolt. An ambulance was summoned for Jones, who was intoxicated, Reinbolt said. “An officer spoke to the householder at that address, who stated Jones was at the home and was yelling and cussing and he asked her to leave,” said Reinbolt. “She did not comply, and he then attempted to push her out of the house, and she attempted to push him out of the house without success. The man stated he was eventually able to push Jones out the front door and that she then fell and busted her lip. He said an officer responded and arrested Jones for alleged menacing and underage consumption of an intoxicating beverage. He said that Jones is already on probation for underage consumption. She will answer the current charges in the Clinton County Municipal Court.